A Reason To Survive (ARTS) is a non-profit organization that provides a 20,000 square foot space where the youth of the community can go to learn, build and express their creativity through a variety of different art programs and supportive therapy programs. When National/54 Self Storage was researching organizations to donate to, they somewhat stumbled across ARTS, but immediately learned that ARTS was embedded into the National City community as a very special organization. 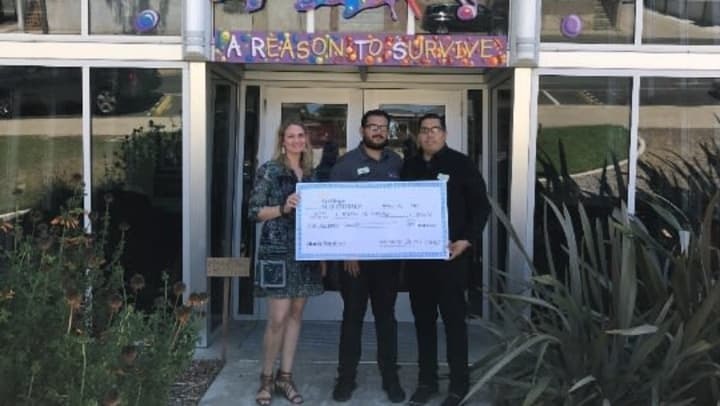 The amount of art programs, volunteer work, and support/counsel programs available to National City’s youth is very inspiring and the reason the team at National/54 Self Storage wanted to gift their donation to ARTS.